At present ,all Npower 2017 beneficiaries are happy for the recent posting, but let me tell you , the second phase of happiness is this next stage of gadget distribution. 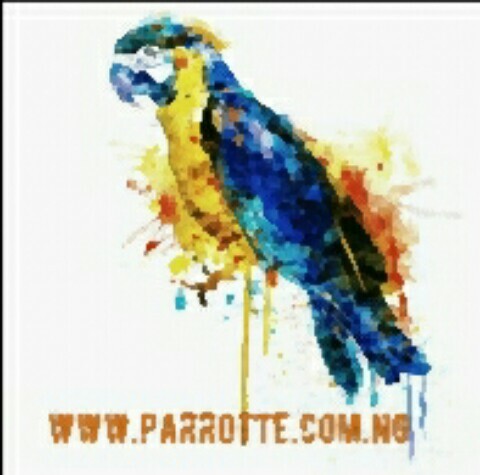 The parrotte team have take it time to research all the available gadget that will be made available for the beneficiaries to enhance them through carrying out their primary assignment as Well as at the end of the programme . Unlike the 2016 beneficiaries, 2017 beneficiaries were limited and opportune to choose between five gadgets and the gadgets are tablets(high end androids) ,loaded with useful apps, the gadget is also loaded monthly with internet data for surfing web and marking attendance (Google location). You cannot have everything but but you can select base on your priority. For the purpose of this post ,we will assist you in choosing wisely, if there will be another opportunity. 1- Afrione iPad :- the design make it stand out of all other Npower gadgets since it can be a pad or a laptop. 2- Samsung Tablet :- with popularity Samsung tablet is the best ,the tab is very easy to carry around. The specification are as follows. 3- RLG Tablet :- it was very popular among the Osun state secondary students ,has it was introduced by the government of the state then. It is made in Nigeria. 4- Zinox Zpad Tablet :- it is made by another Nigerian base tech giant. It is also very powerful with good configuration. 5- Floss signature Tablet :- the device battery strength made it unique from the other gadgets ,in which it last while using it to surf internet, Facebook etc. With this available information, it is now wise to chose wisely base on your priority. Though ipad is my alltime favorite because it is easy to use. But I have tried samsung and the other ones too except RG N power. I'm technically gadget freak so I will try it soon. Wow. They are greqt indeed. I would love a Samsung tab myself. I have been stuck with apple devices for far too long. Time to go android! Thank you for sharing these recommendations! I'm in the market for a new tablet, so this post definitely comes in handy. This is a lovely roundup of gadgets. I like the look of the Samsung tablet. This is sure to help anyone out looking for a new gadget! Sounds like a great device to have but I will go with Afrione and Samsung devices they both look perfect to use in my works. Awesome roundup. I love gadgets. And I haven't heard of the brands except for Samsung. AfriOne iPad looks cool. Whenever I have some free time, I visit blogs to get some useful info. Candy crush 585 level has many blockers and jelly . The level locates Gummy Gardens episode. It's in jelly amount. There are just two double jelly squares in the level. Only 35 moves and sixty three distances come in the degree. The level contains 5 blockers. The filters are licorice swirl, licorice lock, and sachet, two-layered icing, 15 move bomb. The degree also includes some functions. The features will be striped candy and conveyor belt. The striped candies and conveyor-belt helps to lessen the components and also make extra things. There are just five colors candy at the degree. The candy are red, green, blue, orange and purple colors. This point, the yellow color candies is lost. The level primary target 18000 factors equal inch celebrity. Moderate concentrate on 65000 points equal stars, and 85000 factors equal 3 stars. To maneuver the level, carry down all the elements. In 585 degree Locates Gummy Gardens episode. The amount is currently really in Jelly level. It's nine Dual jellies squarefeet. Just 35 moves along with 63 distances have been at the degree. You will find five Blockers in the level. The filters have been Licorice swirl, licorice lock, sachet, two-layered icing, 1-5 go bomb. It's some Features. The features are striped candies and conveyor belt.